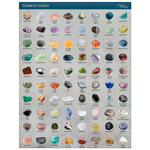 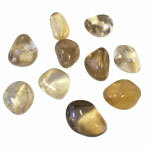 Chalcedony is a cryptocrystalline form of silica, composed of very fine intergrowths of quartz and moganite. 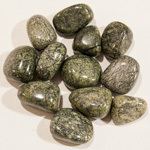 These are both silica minerals, but they differ in that quartz has a trigonal crystal structure, while moganite is monoclinic. 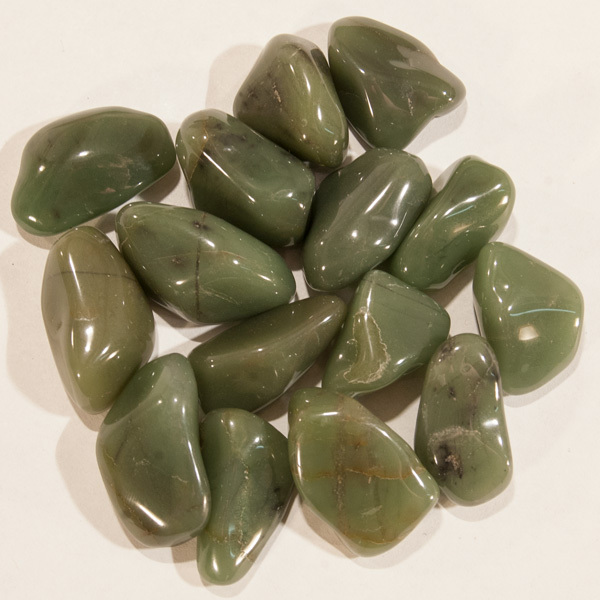 Chalcedony has a waxy luster, and may be semitransparent or translucent. 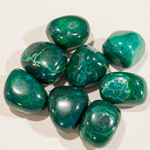 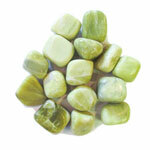 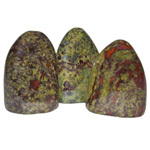 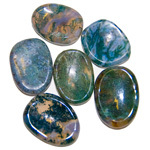 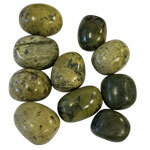 Green chalcedony is considered to be a nurturing stone that help promote goodwill and brotherhood.